Woodley's Joinery is a family business based in Newton Poppleford in East Devon. 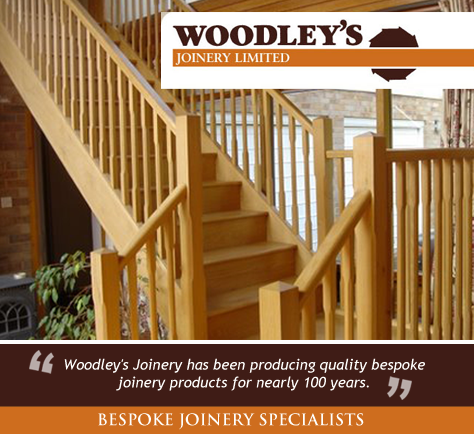 Woodley's Joinery has been producing quality bespoke joinery products for nearly 100 years. Woodley's have built their reputation over the years through high quality workmanship in hard and soft wood. Woodley's Joinery have a team of fully qualified and highly skilled craftsmen who are supervised by hands-on family management. The company aims to ensure quality work at realistic costs. With traditional experience combined with modern technology, Woodley's Joinery can produce a high quality product that will enhance wood as a leading contemporary material.